New Books! New Books! New Books! New Books! New Books! New Books! 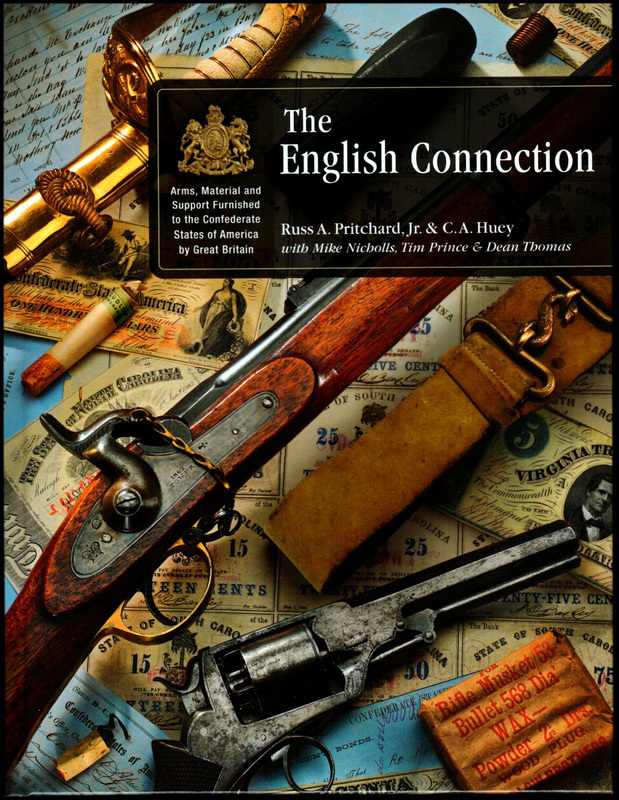 THE ENGLISH CONNECTION by C.A. Huey & R. Pritchard with M. Nichols, Tim Prince & Dean Thomas. Close to 600 pages full of great information and color photographs detailing the British trade with Americans during the Civil War. Detailed information on Enfields, Handguns such as Kerr, Beaumont-Adams, LeMat, Tranter and more, Ammunition (cartridges, caps, molds and more) Swords, Accoutrements, Artillery, Uniforms and all with great detailed color photos! What do all those mysterious markings on Enfield muskets mean? Finally some answers! This book is truly a "must have"!! 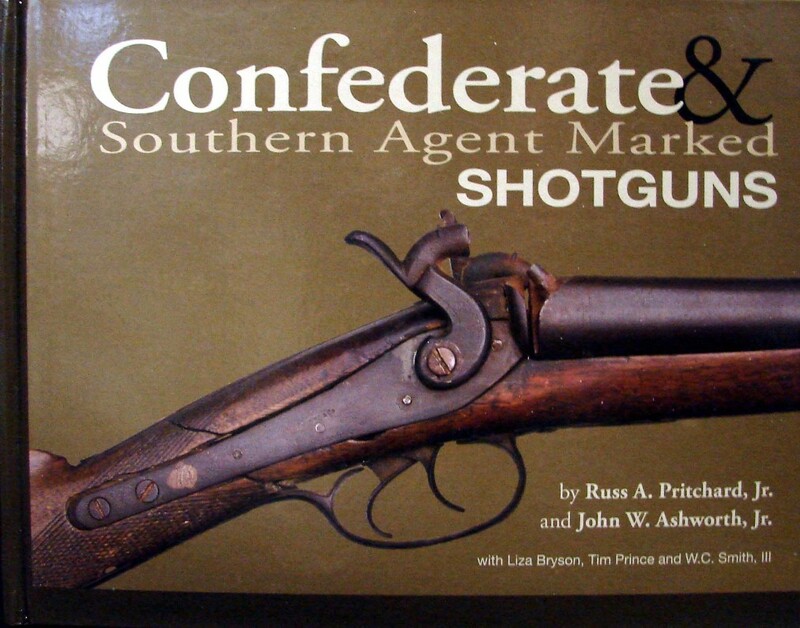 CONFEDERATE & SOUTHERN AGENT MARKED SHOTGUNS by Russ A. Pritchard, Jr. and John W. Ashworth, Jr. This wonderful new 384 page hardbound book is filled with new information on Southern shotguns and the contents are astounding! Studies of southern state archives uncovered state participation in organized acquisition of large numbers of shotguns to arm their soldiers and that the use of shotguns was far more prevalent than previously believed. This book is full of color photos of these guns with and their markings, including those of Southern Agents and Retailers! 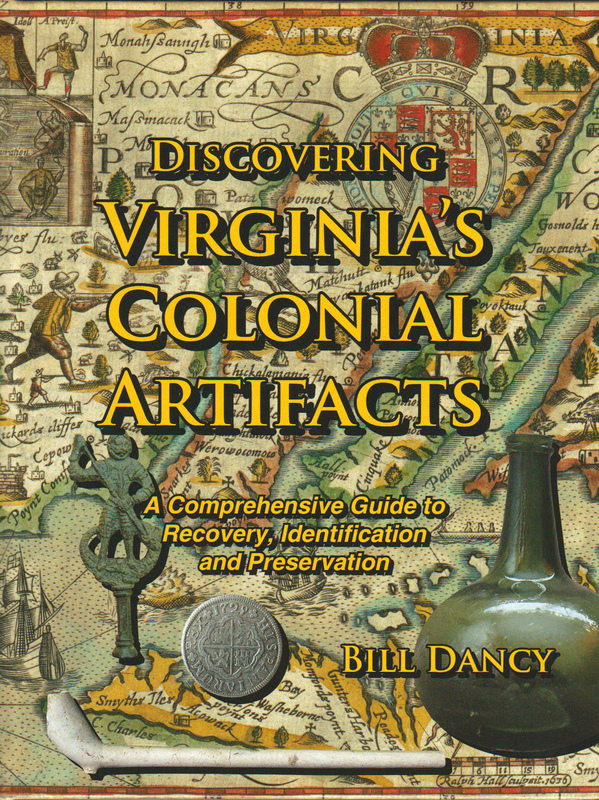 This wonderful new 393 page hardbound book is filled with information on finding, researching, recovering, identifying and documenting colonial artifacts, and while most of it is focused on Virginia sites and relics, it would certainly apply to any area! It is filled with wonderful, all color photography of artifacts, including military as well as everyday items from house sites, and even includes some Civil War and other items found in the same areas. If you've read any of the author's articles in historic publications, you know that he has the experience, expertise and writing skills to make this a must have! Out of print, but we still have some of these! CONFEDERATE BELT BUCKLES AND PLATES Expanded Edition by Steve Mullinax. This is the most recent edition from 1999. 248 pages with over 450 buckles and plates pictured. Signed by the author. Used but in very good condition. and contains all new information with no duplication from the first volume. A definite "must have"
UNIFORM BUTTONS OF THE UNITED STATES, 1776 - 1865 Warren K. Tice. A very lightly used copy. 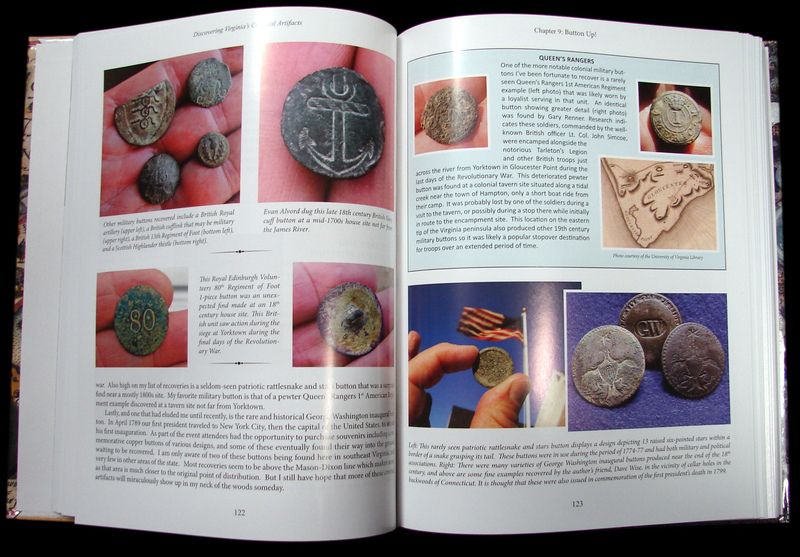 519 pages 8-1/2" X 11" full of pictures and descriptions of buttons! This book has become one of the "must haves" as it contains many buttons not covered in Albert's, and also lists every known backmark for each button. It includes buttons all the way back to the American Revolution, and a section covering the complete period of Confederate manufacture, so as a Civil War button reference, this is great! These are very hard to find, and if we didn't tell you this one was used, you'd never guess it wasn't new! 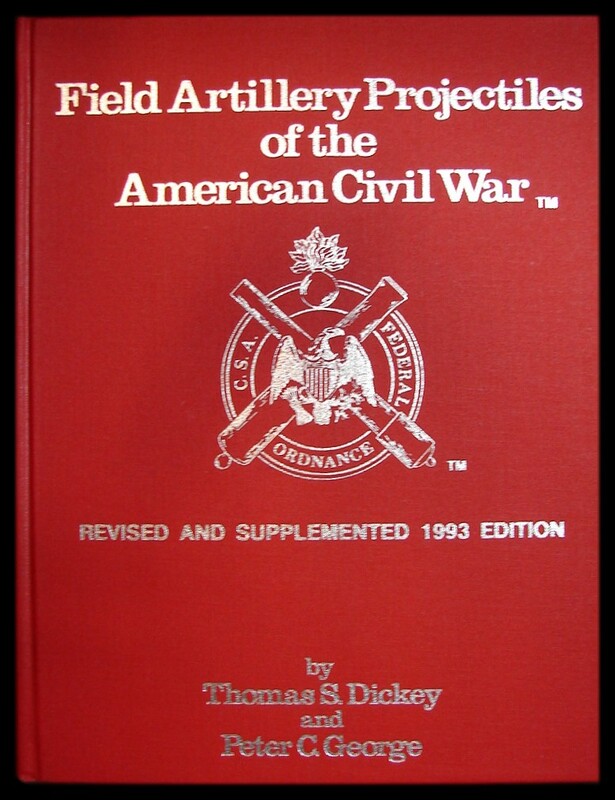 FIELF ARTILLERY PROJECTILES OF THE AMERICAN CIVIL WAR 1993 EDITION by Tom Dickey & Peter George. This is the Revised and Supplemented 1993 Edition. The gold standard for artillery reference and the book is in excellent condition! 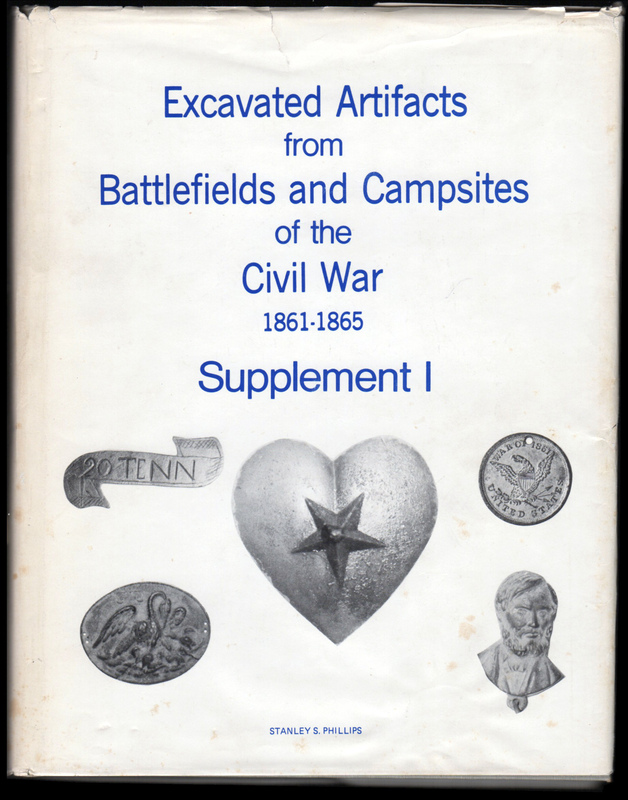 EXCAVATED ARTIFACTS FROM BATTLEFIELDS AND CAMPSITES OF THE CIVIL WAR 1861 - 1854 SUPPLEMENT 1 by Stanley Phillips. This is the 1980,1st and ONLY printing of this book, which was a supplement to the earlier version. 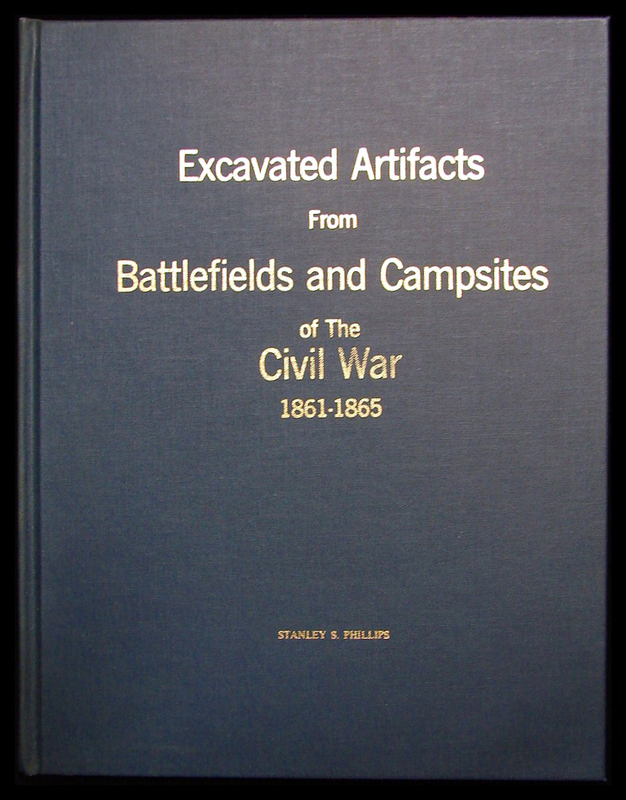 200+ pages with pictures and descriptions of artifacts recovered from Civil War sites. Plates, buckles, buttons, corps badges, bottles, canteens, spurs, stirrups, ID tags, weapons..... you name it, he's got some pictured. The dust cover only has a few tears and small holes, and the book is in excellent condition! EXCAVATED ARTIFACTS FROM BATTLEFIELDS AND CAMPSITES OF THE CIVIL WAR 1861 - 1854 by Stanley Phillips. This is the 5th printing from 1986. 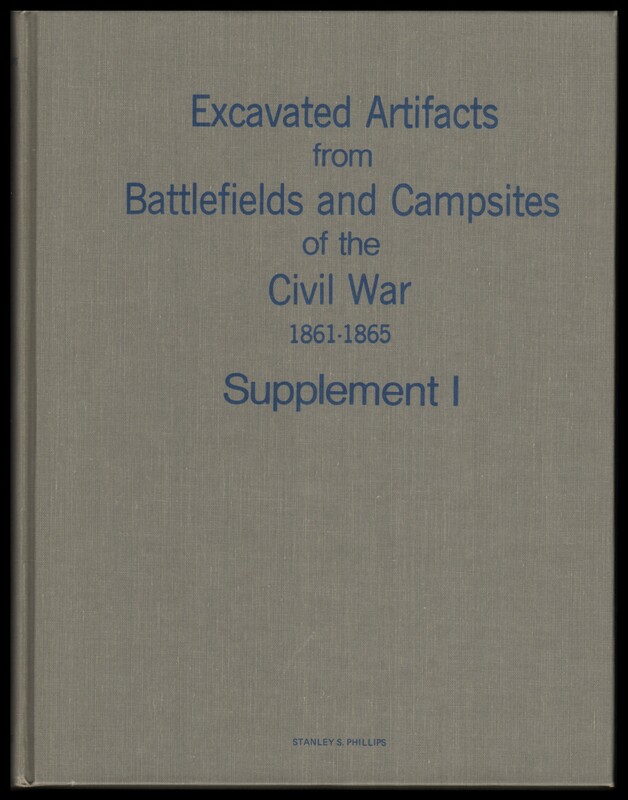 200+ pages with pictures and descriptions of artifacts recovered from Civil War sites. Plates, buckles, buttons, corps badges, bottles, canteens, spurs, stirrups, ID tags, weapons..... you name it, he's got some pictured. For years this was the go-to reference for every relic hunter. Used but in very good condition without dust cover. CONFEDERATE BELT BUCKLES AND PLATES 1st Edition by Steve Mullinax. This is the first edition from 1991. 234 pages with over 400 buckles and plates pictured. Used but in very good condition with dust cover. A monumental study of 58 C.S. and southern state facilities, 55 of which produced bullets and cartridges during the war. But included in these 1248 pages are over 1300 photos and illustrations, including 593 bullet and cartridge specimens, 88 cartridge package labels and crates, 176 arsenal buildings and city views, 94 maps showing arsenal locations, 90 bullet molds, 48 original documents, 31 portraits of ordnance personnel, 88 miscellaneous images of cannon, machinery, percussion caps, rifles and carbines, coins, patents, artillery projectiles and 118 southern bank notes from the cities and towns that hosted C.S. ordnance manufactories. In addition, the names of thousands of brave men, women and children who labored as cartridge makers for "the Cause" are honored within. All 3 Volumes Sold Out!!! 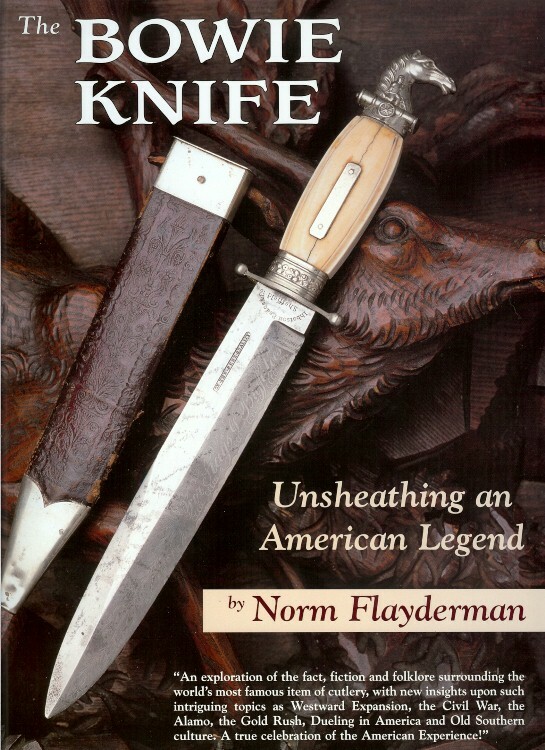 THE BOWIE KNIFE, Unsheathing an American Legend by Norm Flayderman. 512 pages 9-1/4" X 12-1/2" full of all color pictures.This is a thoroughly researched and documented study of the Bowie Knife, from when it first made its appearance in the course of a brawl on a Mississippi River sandbar near Natchez, Mississippi in 1827 on through the Mexican War, the California Gold Rush, the American Civil War and beyond! Profuse with color photos of the knives and other artifacts, as well as copies of old photos of men carrying the Bowie Kife. A must have for anyone interested in this legendary American blade! 280 pages of every collecting category of the American Civil War. This edition of the Guide features not only updated values but also 500 black-and-white images, numerous full-color pages, scores upon scores of new listings, and even an all-new category. AMERICAN MILITARY BELT PLATES by Michael O'Donnel & Duncan Campbell. 600+ pages of everything from the American Revolution up to and past the Civil War. 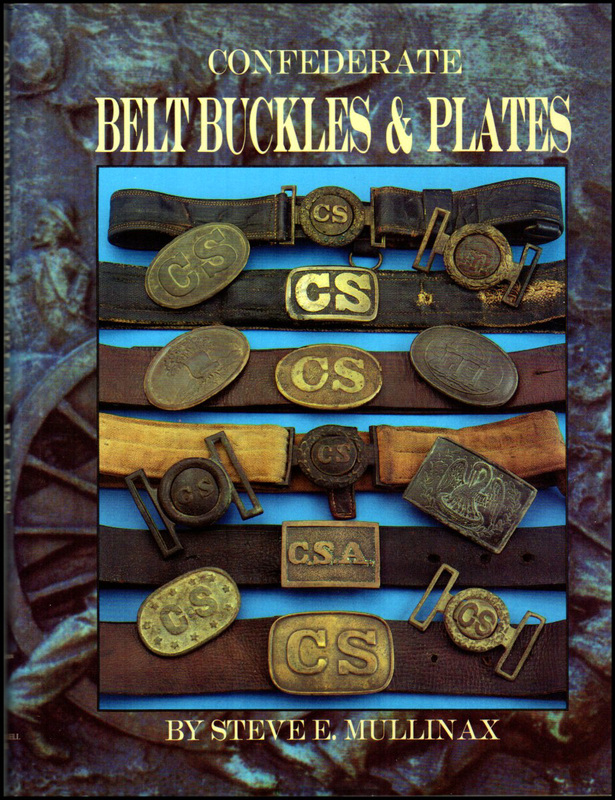 PLATES AND BUCKLES OF THE AMERICAN MILITARY 1795 - 1874 by Kerksis. Over 500 photos of US & CS plates and buckles. 568 pages. Over 40 more plates than the original edition, with new captions and info on all the plates! Now 247 pages. THEIR BACKMARKS & DATES. by McGuinn & Bazelon. UNIFORM BUTTONS OF THE UNITED STATES, 1776 - 1865 Warren K. Tice. This is one we've all been waiting for! 519 pages 8-1/2" X 11" full of pictures and descriptions of buttons! Tice has done an astounding amount of research, so that this book contains many buttons not covered in Albert's, and also lists every known backmark for each button. There are also chapters on four leading manufacturers, with histories of the companies and great photos of their backmarks . The section on state buttons includes buttons all the way back to the American Revolution, with the United States section starting in about 1830, and a section covering the complete period of Confederate manufacture, so as a Civil War button reference, this is great! Out of print and very hard to find, but we still have it for Sold Out!!! INSIGNIA OF INDEPENDENCE, Military Buttons, Accouterment Plates & Gorgets of the American Revolution Don Troiani and James L. Kochan. participants of the war wearing the very same equipment! 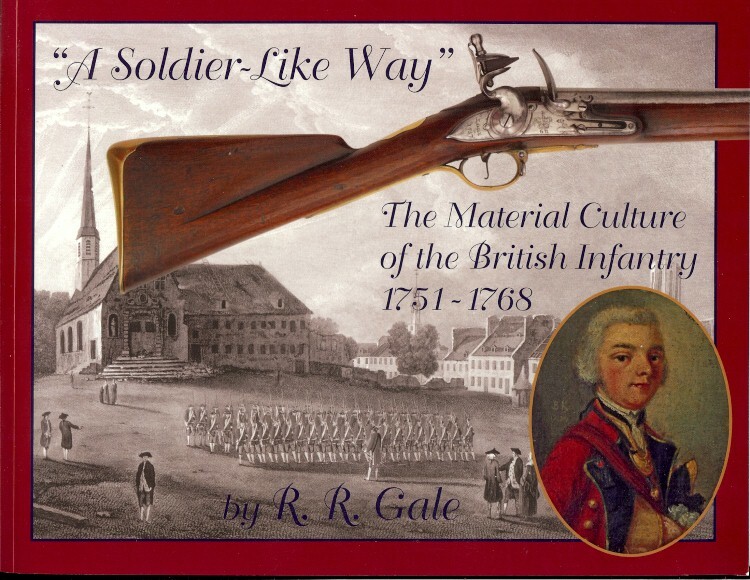 A must have for Rev War collectors! swords & cutlasses, axes and related accoutrement used by the Navy & Marines. THE BURNSIDE BREECHLOADING CARBINES by Edward A. Hull. 5th models of this widely used Civil War Carbine. FIREPOWER FROM ABROAD by Wiley Sword. 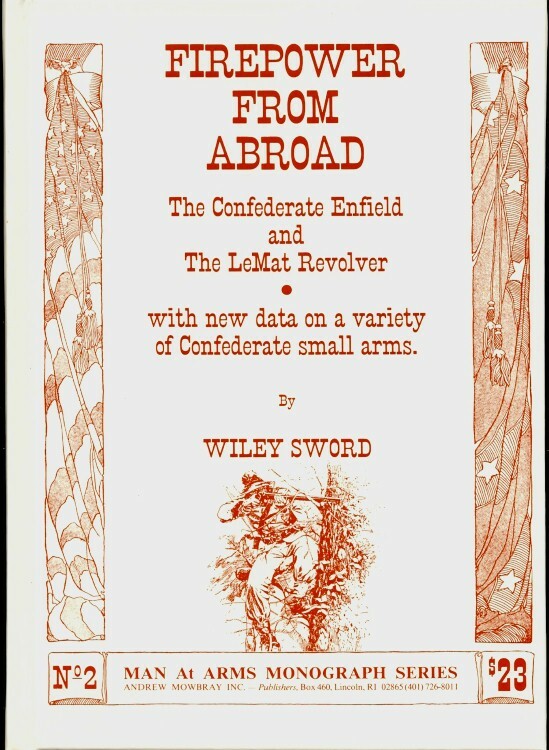 125 pages 7" X 9-12" with pictures and description of the Confederate Enfield and the LeMat Revolver. 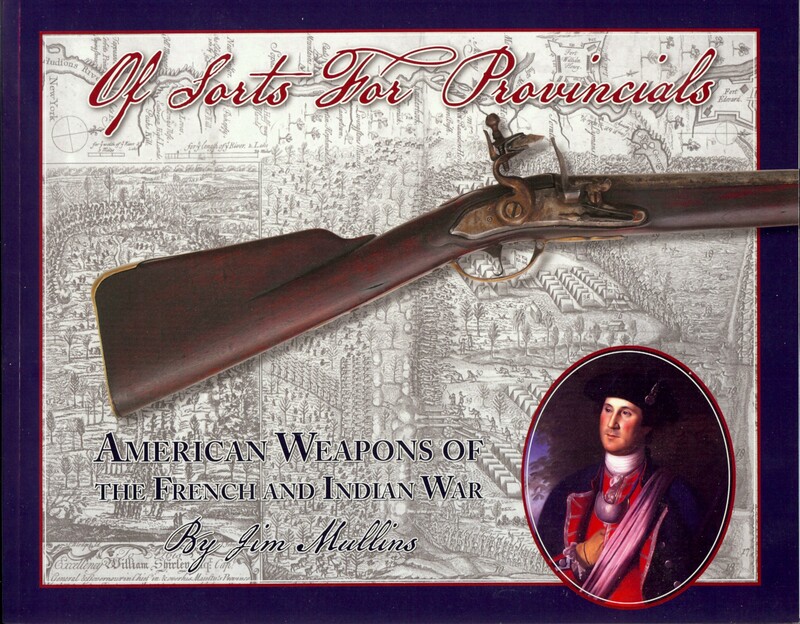 MUSKETS OF THE REVOLUTION and the French & Indian Wars by Bill Ahearn. 248 pages 8-1/2" X 11" with pictures and description of the Revolutionary and French & Indian War period. 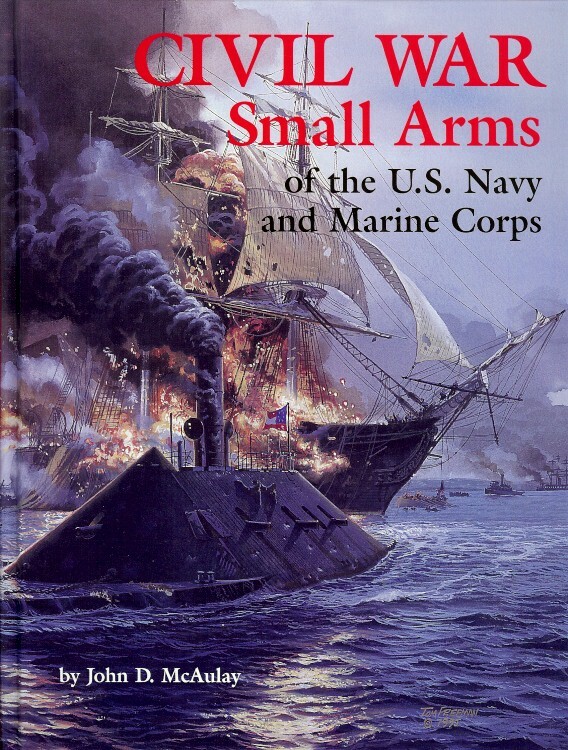 UNITED STATES MILITARY SMALL ARMS, 1816 - 1865 Robert Reilly. One of the best ever reference works for weapons of the Civil War. 275 pages with drawings that show more detail than photos would, and great descriptive text. 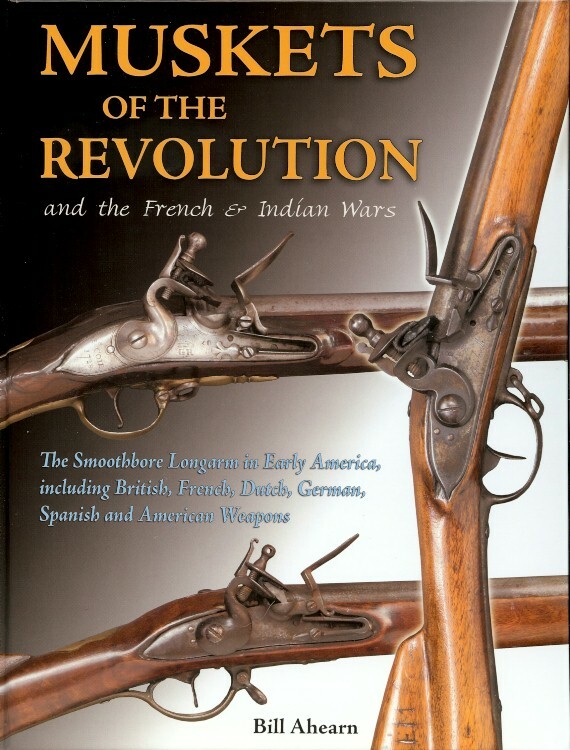 Covers muskets, rifle-muskets, rifles, carbines and handguns of the U.S. in detail. by Robert Reilly. From colonial to Post Civil War. 209 pages. 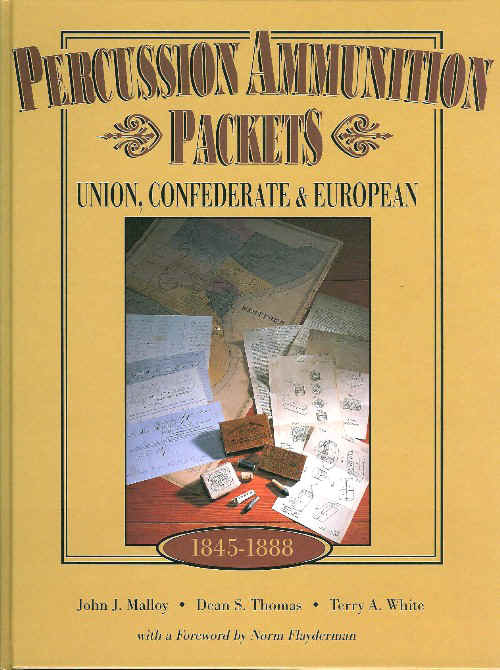 PERCUSSION AMMUNITION PACKETS Union, Confederate & Eurpoean by John J. Malloy, Dean S. Thomas and Terry White. 134 pages, profuse with color photos of cartridge packages and a section of many color photos of the cartridges themselves. 607 pages of knowledge!! Great photos and descriptions of Foot Artillery Swords, NCO Swords, Officer's of all sorts, Pay Department, Medical Staff and more! Goes hand in glove with his CIVIL WAR CAVALRY & ARTILLERY SABERS volume. THE AMERICAN SWORD 1775 - 1945 by Peterson. Swords, swords, and more swords! 345 pages text & photos. AMES SWORD COMPANY 1829  1935 by J. Hamilton. A great reference for any collector! 255 pages. 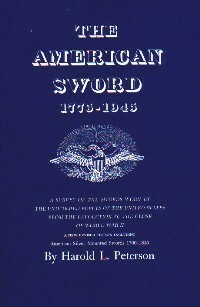 HISTORIC AMERICAN SWORDS by Howard Crouch. 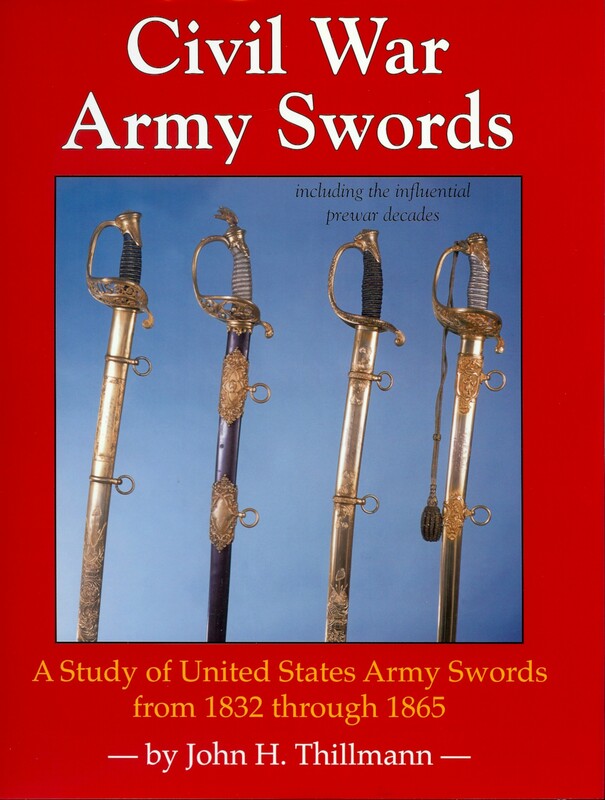 174 pages of photos and descriptions of nearly 200 styles of American swords, from Colonial and Rev. War swords, on through the Civil War and beyond including Confederate and Fraternal swords. 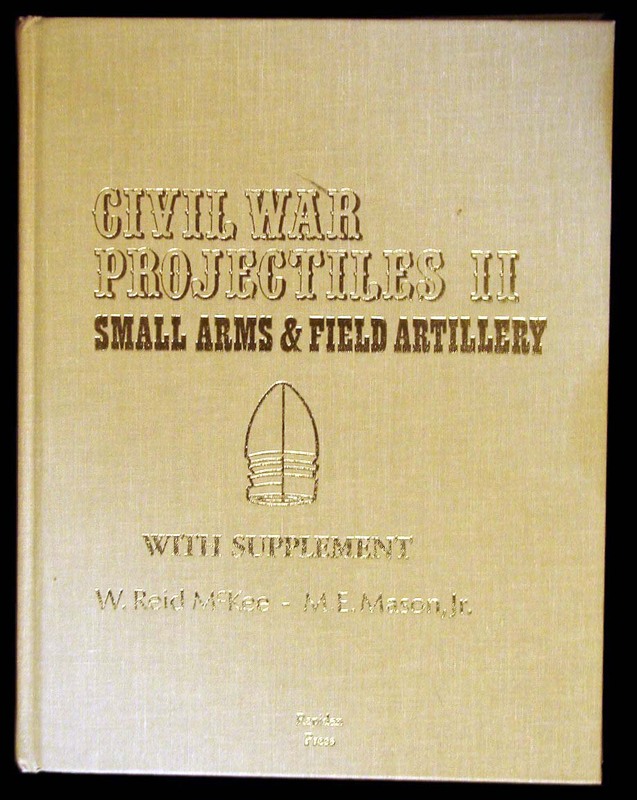 ARTILLERY FUSES of the CIVIL WAR by Charles H. Jones. Well written and researched, with tons of photos of fuses, fuse adapters, tools and implements. 167 pages. CIVIL WAR HEAVY EXPLOSIVE ORDNANCE by Jack Bell. Another great book about a subject that has long awaited a thorough study. 537 pages full of pictures and information on artillery projectiles from the big guns! 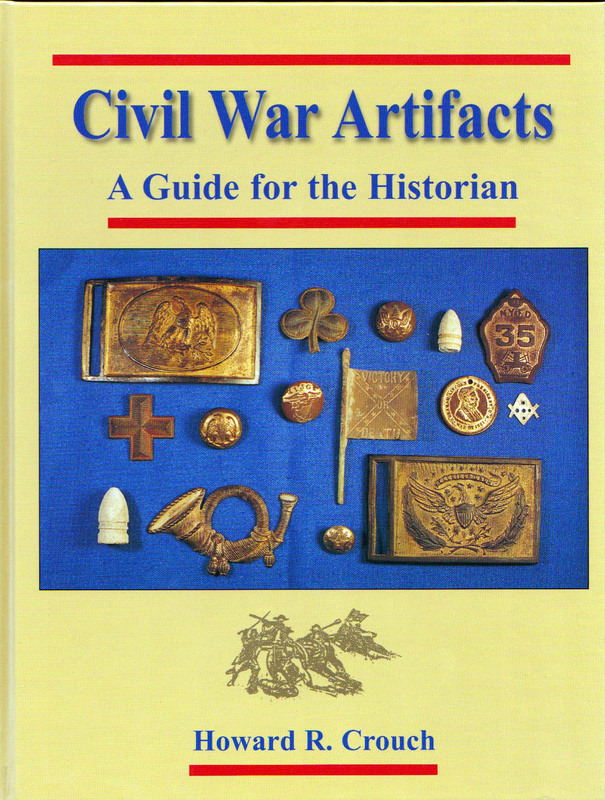 CIVIL WAR ARTIFACTS, A Guide for the Historian by Howard Crouch. A wonderful new book on dug artifacts, with pictures and descriptions of military accoutrements and weapons, as well as everyday camp equipment. Destined to be a classic! 237 pages. 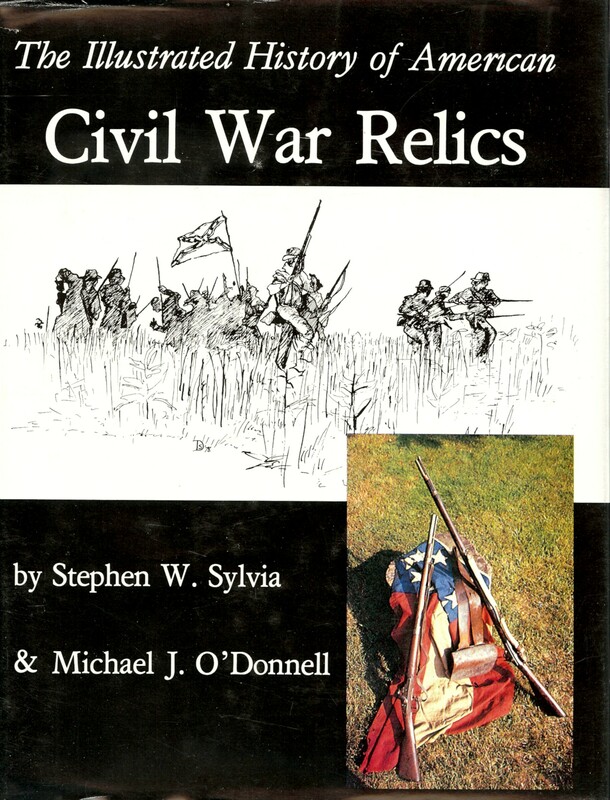 THE ILLUSTRATED HISTORY OF AMERICAN CIVIL WAR RELICS by Sylvia & O'Donnel. This traces our hobby from soldiers picking up souvenirs after battle, to modern day collectors and detectors Hundreds of pictures including a special color section. This one's for every one regardless of your area of interest. 319 pages. Out of Print Sold Out!!! 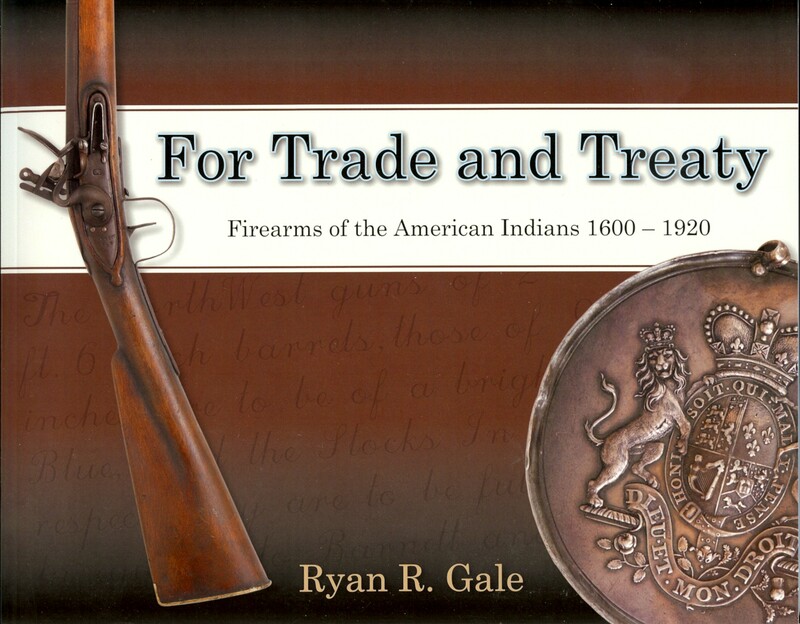 FOR TRADE AND TREATY, Firearms of the American Indians 1600 - 1920 by Ryan R. Gale. 201 pages 8-1/2" X 11" full of color photos of the many types of guns offered to the American Indian for trade and treaty by the Dutch, French, British, Americans and half a dozen or so private entities, such as the Hudson Bay Company for literally hundreds of years! Sold Out!!! BATTLE WEAPONS OF THE AMERICAN REVOLUTION by george C. Neumann. 393 pages of guns, swords and accoutrements! TIDINGS FROM THE 18th CENTURY A Colonial American How-To and Living History Beth Gilgun. 277 pages written in first person with observations and instruction of all manner of Colonial American life. There are lots of photos and illustrations of men's and women's clothing, accessories, daily life, games, food and much more. A glimpse into early America. Page after page of wonderful relics with brief descriptions of what they are, and where they were found on the battlefields of Gettysburg! Whether "cleaned up" off the field immediately after the battle, "eyeballed" years later, or metal detected decades later, they are all part of this fascinating study! This is an outstanding reference book that everyone should have! Nice hardbound, scholarly work on a very diverse and interesting subject. 300 pages covering wood canteens (both militia style and Confederate) metal canteens (northern, southern and militia) and all sorts of "filter canteens", "medical canteens" and other specialized types. Tons of excellent photographs with profuse text and details on who made and sold these critical pieces of military equipment. 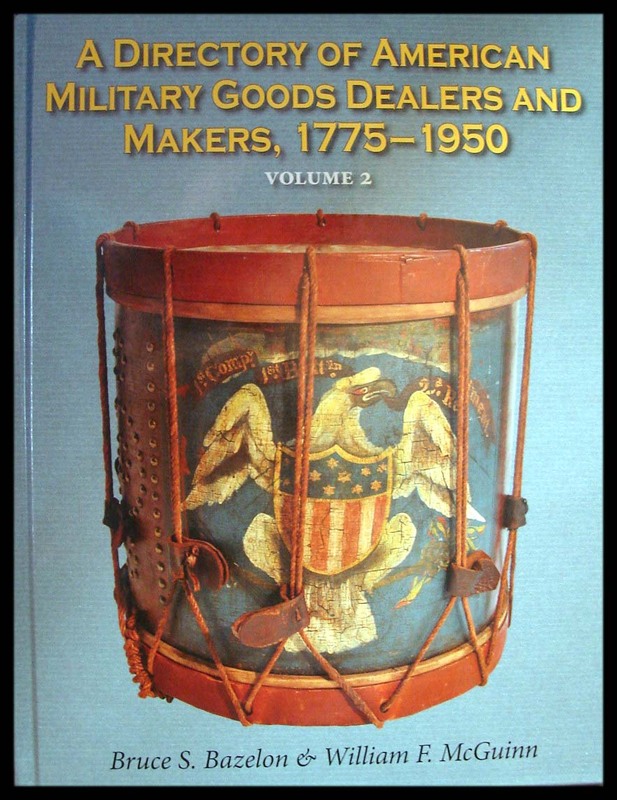 DIRECTORY OF AMERICAN MILITARY GOODS DEALERS & MAKERS 1785  1915 by Bazelon & McGuinn. An updated version of the previous work, with twice the info! 360 pages. ROUND BALL TO RIMFIRE A History of Civil War Small Arms Ammunition Part 1 by Dean Thomas. A scholarly study of bullets, with chapters devoted to Explosive bullets, the Shalers, William's Cleaners, Gun Cotton Bullets and much more. 333 pages with photos and tons of research! ROUND BALL TO RIMFIRE A History of Civil War Small Arms Ammunition Part 2 Federal Breechloading Carbines and Rifles by Dean Thomas. A new volume in this scholarly study of bullets and cartridges, with chapters devoted to ammunition for Burnsides, Colt, Merrill, Sharps, Spencer and the rest! 5223 pages with photos and tons of research! HORSTMANNS: The Enterprise of Military Equipage by Bruce Bazelon. A history of one of the leading militaryequipment manufacturers of the war. 199 pages of information, pictures, copies of period advertisements, etc. CONFEDERATE SADDLES & HORSE EQUIPMENT by Ken R. Knopp. 194 pages of detailed photos and information of southern saddles, and the equipment that accompanies them. CIVIL WAR CARTRIDGE BOXES OF THE US INFANTRYMAN by Paul Johnson. 351 pages text and photos. Now you can know exactly what your cartridge box is! INDIA RUBBER AND GUTTA-PERCHA IN THE CIVIL WAR Mike Woshner. A 320 page illustrated history of rubber and pre-plastic antiques, including military items such as rubber blankets, knapsacks, holsters, canteens, etc as well as other civilian products: image cases, combs, flasks, pipes and much, much more. Plenty of pictures, and appendixes contauning invaluable manufacturer and patent info. John P. Langellier. An extensively researched volume of U.S. uniforms with photos and exacting detail. We've needed this for years! 352 pages 12" X 9-1/2" with hundreds of photos of uniforms as well as period images of men wearing them. 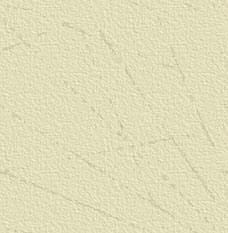 Many of the pictures are full color. There are appendixes with uniform regulations of 1847, 1851, 1861 & 1872. This is an impressive and much needed book. 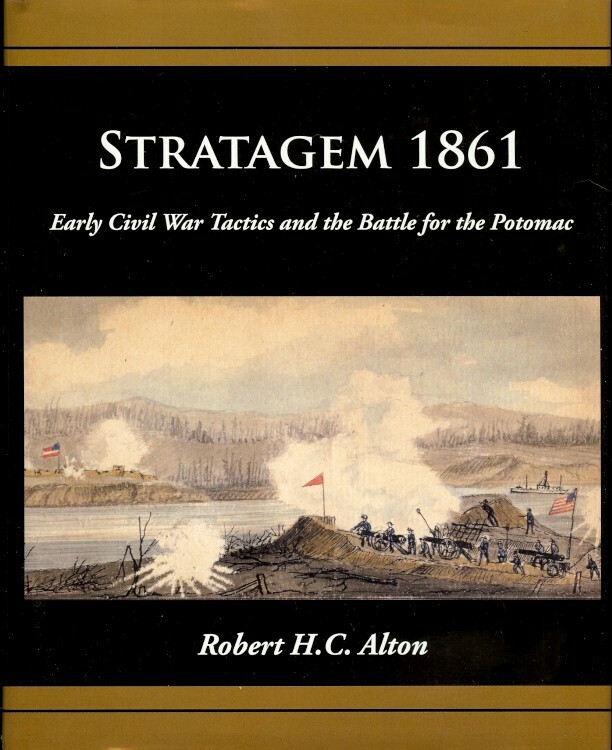 154 pages 8-1/4" X 10-1/4" Early in the Civil War nearly ended in 1861 with a Confederate victory in the lesser known Battle for the Potomac River near Washington, DC. This book explores the military tactics and the political landscape of the era and one of the most sensitive campaigns of the war, with events stretching from Baltimore to North Carolina's outer Banks.